Module of the instrument series for the maintenance of SF6 gas-filled equipment. Extraction up to residual pressure < 5 mbar abs. 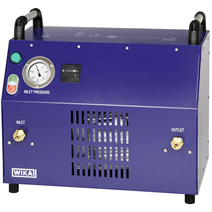 The model GVC-10 vacuum compressor is a module of the portable service equipment series. In order to extract SF6 gas compartments up to a residual pressure of 5 mbar abs., the model GVC-10 vacuum compressor is combined with the model GTU-10 transfer unit. The extracted SF6 gas is pumped into a gas tank at the outlet of the module system. 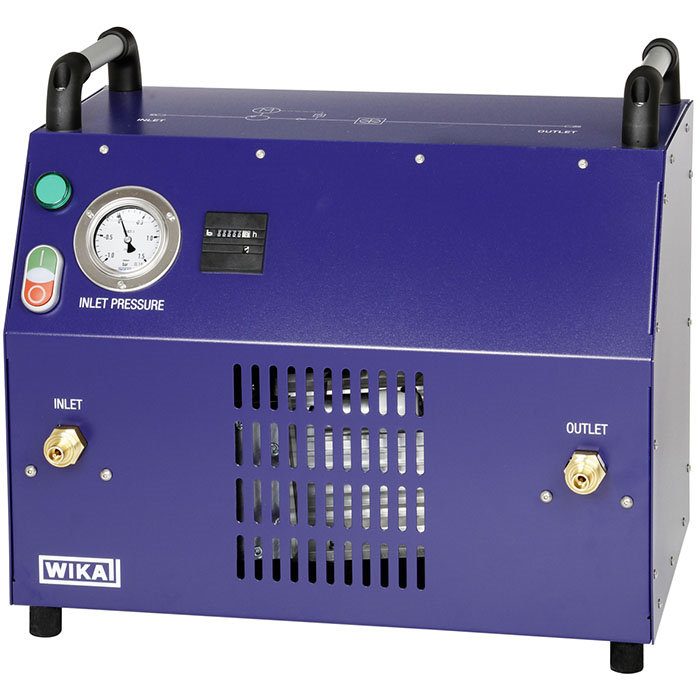 A pump which has been specifically optimised for this instrument series runs in the vacuum compressor. The pump principle is particularly suited for SF6 gas, as the wetted conveying chamber is completely separated from the pump drive. As a consequence, the process remains free from oil and lubricants. The self-closing valves at the inlet and outlet ensure a safe gas extraction. Thus, it can be excluded that SF6 gas escapes into the atmosphere.